What’s the signature of a lady? | Chic first: an elegant view on beauty, fashion and lifestyle. Some years later, my answer would have been ‘lipstick‘. Why so? Because I couldn’t wear make up at that time. Nor heels, to be honest, but lipstick was something I wasn’t allowed to wear, but still looked so pretty and desirable to my eyes. At a later stage the lady’s signature in my mind started to be ‘her fragrance‘. Passing from ‘what I cannot wear’ to ‘only what I can wear’. Again, what if I had to pick up only an item to sign my days (and mostly nights!) and leave at home all the rest, or decide which embodies better than ever the true signature? ‘High heels and the right posture’. Without the right posture, we’re all only bearer of clothes and accessories. And because high heels have the power to make a person feel more self-confident and self-conscious. They expose your body, pushing your physical boundaries to the edges between balance and fall-out, between control and loss of control, between motion and stillness. Paradoxically, the more you’re insecure, the more you’re powerful. What’s the item that really makes the difference, in your opinion, between a lady and the rest of the world? 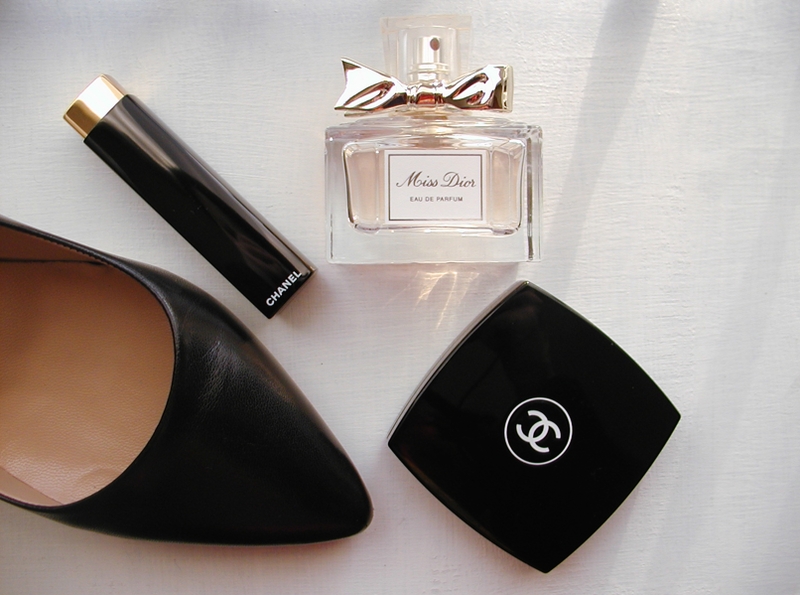 This entry was posted in Beauty, Fall/Winter, Fashion, Fragrance, Make up, My looks, Season and tagged Chanel, chic, chicfirst, Dior, fashion, Fragrance, lipstick, Make up, my looks, outfit. Bookmark the permalink. 8 Responses to What’s the signature of a lady? I agree, Annie! But if you had to mention a beauty item, which one would you choose? This is a lovely idea to ponder. I loved your descriptions of your evolving answers to this question (especially the one about high heels — very poetic). I agree that the 1980s were a time of flare, and it was a great decade to be a young girl watching the mature beauties enjoy their feminine details. It was definitely a time for embracing femininity, something that waned to a degree in the 1990s. Hmmm… I like both your and Annie’s answers to this question. I guess I would add intellect to the mix as well. A woman who embraces her femininity, has a memorable attitude, and is an intellect is a woman to be reckoned with!